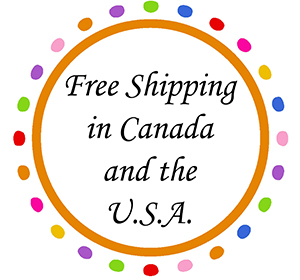 Now offering FREE SHIPPING in the USA & Canada. International orders over $40.00 also qualify for free shipping. International orders up to $19.99 have flat shipping of $2.95 and international orders between $20.00 and $39.99 have flat shipping of $5.95. Click to Visit us on Facebook - become a Fan & receive discount codes and product updates!